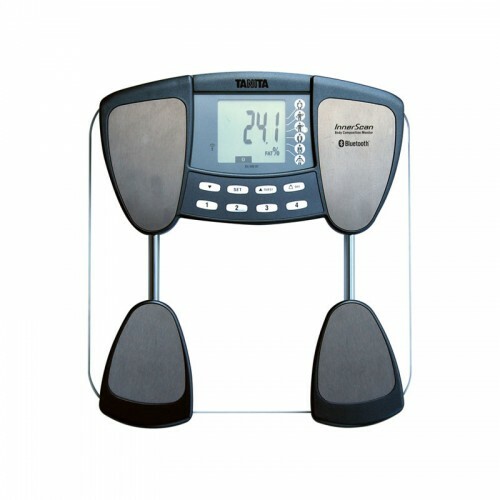 The new, BC-590BT Bluetooth Wireless Body Composition Monitor is a revolution in personal health maintenance. The BC-590 brings state-of-the-art technology to the health monitoring industry, as it is designed to transmit multiple readings, wirelessly, to a personal computer within seconds for an easy way to view and record fitness trends over time. The BC-590BT measures weight, body fat, body water, daily caloric intake, bone mass, muscle mass, and so much more, and is the first consumer scale to utilize Bluetooth technology! Supports up to 4 users. Attractive glass and steel design.